Online video course: 12 weekly lessons that contain the SIMPLE and very EFFECTIVE system that allowed me to help hundreds of men & women safely and effectively lose weight and keep it off! They did this by following a program and establishing new habits that kept them healthy, happy and thriving! I’m going to give you step-by-step instructions on what, when and how to eat for lasting weight loss, optimal energy and fueling your body. My goal is to help you change the way you look and feel about food. You are going to have a weekly teaching lesson delivered online along printable handouts to complete every single week to make sure you really understand and implement the steps we discuss. Knowledge is one thing but you can ready all the books you want and not get results. We are here to make changes! Work at your own pace and repeat the lessons anytime. Get access tons of great recipes and meal ideas, but MOST importantly teach I will teach you how to create balanced meals, anywhere! I get it – this has to be a WAY of eating forever or it’s not going to work for you! That’s why I have taken the time to layer the lessons so they teach you how to keep this going for yourself. You should be able to eat out in a restaurant, a party or entertain and know how to put things together. On top of great meal ideas we are going to dig DEEP into why else you might be plateauing in your Weight Loss Journey and what to do about it. We are going to evaluate areas we might be STUCK and work to get out of those ruts for good. Life happens. Things are going to get in the way and hold you back. People (maybe even you) will try to sabotage your efforts. You have to HAVE A PLAN for those moments! We will talk about that in detail on our calls. Get to know YOUR triggers and winning or losing behaviours. We all have areas that are holding us back from what we want and keeping an extra layer around our bellies. I am going to give you a LIVE weekly coaching call to answer questions and connect with me. I am also opening up a secret Facebook Group where I will be showing up to answer questions every single day and for you to have the support and sharing of ideas with others in the group. I’m giving you access to this amazing weight loss program that has been running successfully in my training studio for over 5 years! Now you can work with me from anywhere and get the support and accountability you need to get the RESULTS you want. READY TO GO? Sign up today by selecting your payment option to the right. This course was originally created for my Personal Training and Studio Clients who got AMAZING RESULTS! After seeing transformation after transformation, I knew I needed to bring this program to more people! After working with client after client I realized that – while we are all different, we share similar challenges, struggles and paths. Over the course of time I ended up creating a proven system that time and time again has helped clients lose 20-30 lbs in 90 days! So here is where we are today! 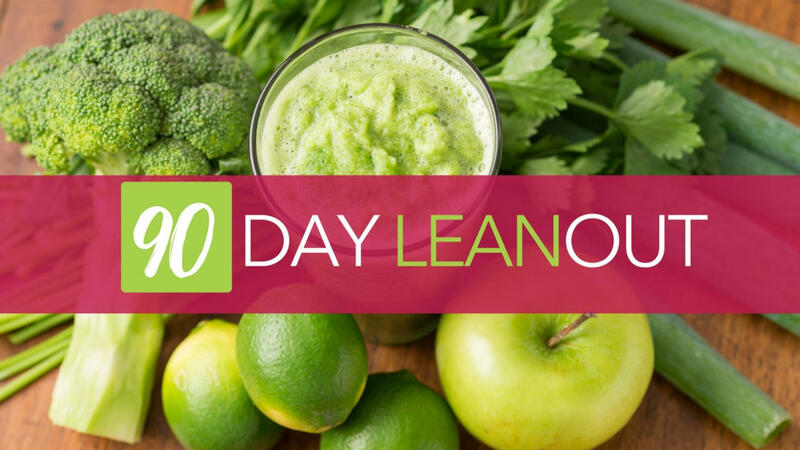 The 90 Day Leanout is now launching February 1st! I know what it’s like to be crazy busy AND want to look your best! I am a mom of 3 kids, run my own business and have to work at my fitness every day. That’s why I created this program. IT WORKS. It IS a way of life…. I like to call it… The Sweet Life! Lifestyle Habit Swaps and Behaviour Modification Tricks! to get you into NEW and HEALTHY habits! With over 20 years of industry experience and thousands of hours working on herself and with clients, Christine put together this amazing step-by-step system she has taught 1:1 to her coaching clients! Christine helps you make sense of all the confusing and conflicting information out there on weight loss and puts together a SIMPLE & EASY to follow system that you can sustain for life! This is a "REAL life, REAL people, REAL food" program that addresses not only what to eat, but how to create new behaviours, habits and ways of thinking that will transform your body and your performance in all areas of life! I guarantee you will love this holistic approach to weight loss!